Nothing Here is Perfect will appear in competition at the 2019 Copenhagen Jazz film festival. Check out the trailer for All of this is Everything starring Clint Dyer. Ten years in development, one day shoot, two day edit. Turned out good. Years in the making, dozens of drafts, but finally All of this is Everything will become a film. A four minute film. Working to about 20 seconds a year here. You just can't rush these things. Thanks to the wonderful team of Clint Dyer, Saskia Nett, and Marianne Auvinet Gould for making it happen. 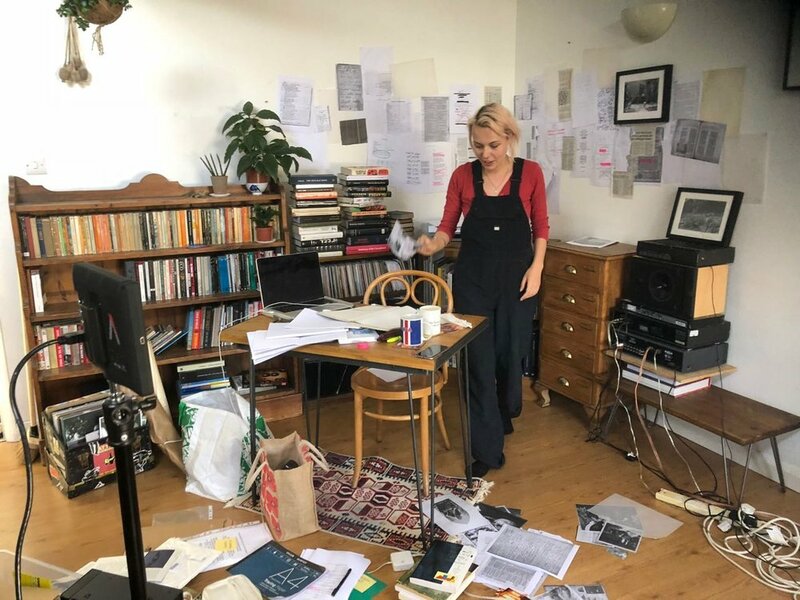 The Guardian has commissioned a short film and article about improvised music as part of their underground music survey for 2017. 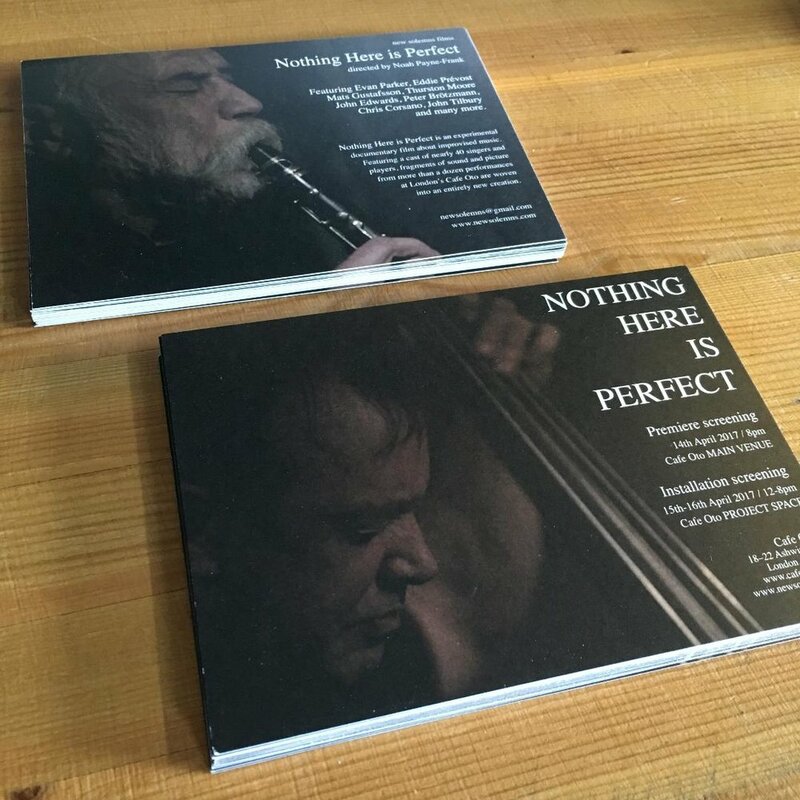 The film features performances from Cafe Oto, shot during the recording of Nothing Here is Perfect as well as interviews with Evan Parker, John Edwards and Eddie Prévost. 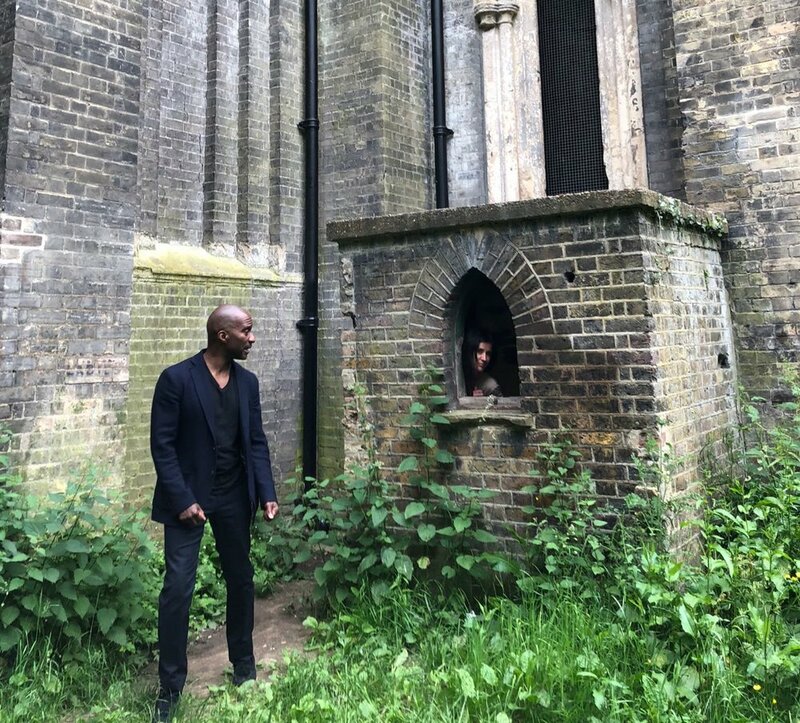 Nothing Here is Perfect will screen at Safehouse Brighton on the 18th October, before a duo performance by Trevor Watts and Stephen Grew. Details here. 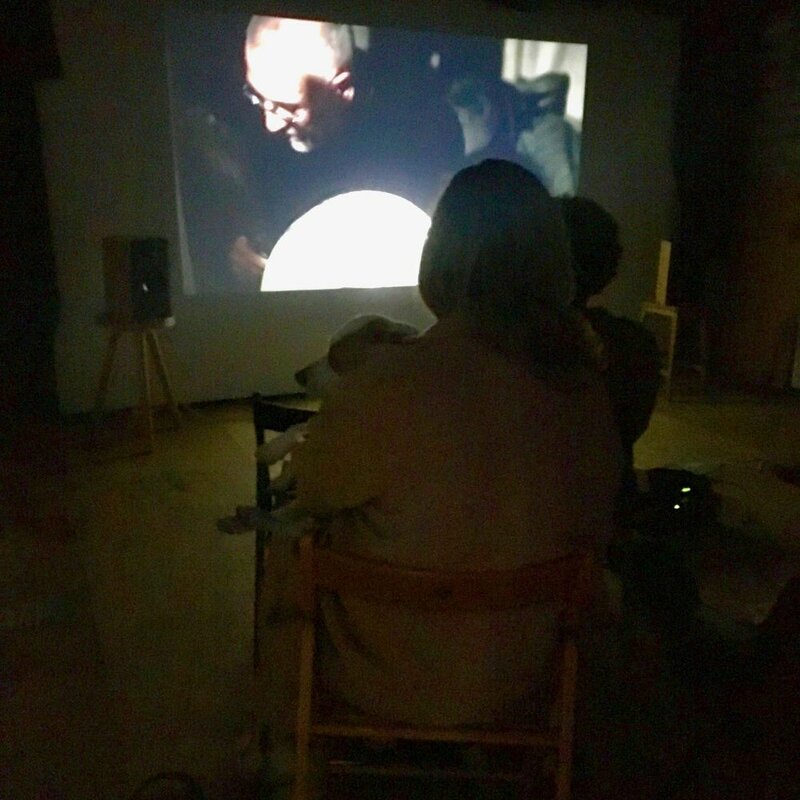 Success at the Nothing Here is Perfect premiere at Cafe Oto! Across the weekend the film was viewed by around 300 humans and at least one dog. Thanks to all who came to check it out. 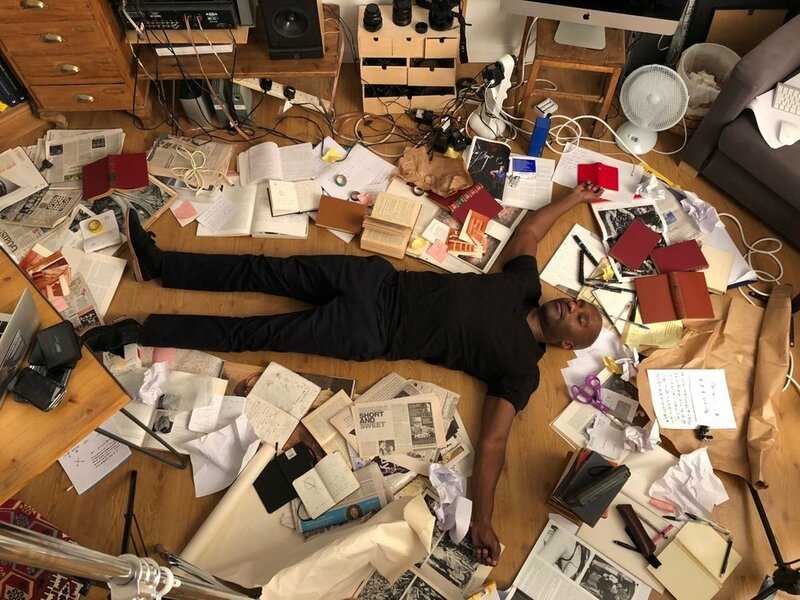 Nothing Here is Perfect will premiere at Cafe Oto in London on 14th April 2017, opening the night for the Moholo Moholo Quintet. It will then run as an installation in the Project space, across the street from the venue, over the weekend of the 15th/16th. Entry to the project space is free.